I’m sat here at Heathrow Terminal 3 waiting for my flight which leaves in about 6 hours. Ade is on his way from work so I’m sipping a coffee very slowly ‘borrowing’ electricity as my phone is almost dead – mainly due to the fact that I somehow turned the torch app on before throwing it in my bag when my dad came to pick me up to bring me here. You’re probably wondering why I got here so early? Well, I’m a lovely considerate daughter and I know after 3pm the M25 is hell and didn’t want dad to get caught up in it. You see I take after my dad and I know from previous experience (of my own) that crawling at 25mph through the roadworks stretch of one of the circles of hell for 2 hours is enough to induce soul destroying madness. Anyhow, the subject of this blog – inspiration! What is it? I’ve googled the definition and several adjectives and synonyms come up, mostly harking on about creativity, improving dull aspirations, creating self-belief etc etc. I was actually amazed at how most of the definitions sounded as if they came out of some hocus pocus self-help book. The point is, I believe that ‘inspiration’ is a word that banded around far too often, I hear it in every day life, every one seems to be inspired by someone. It’s become a trivial word and sometimes I wonder if the true context of it has been lost over the years. To me, inspiration is my parents. Ever since I was a kid, they have worked extremely hard to provide for me and my brother Mark. They sacrificed a lot so we can all have the life we do now because let’s face it, it was quite grizzly in 1980s London when you’re drowning in poverty. Having grown up watching them struggle and doing the best they can has inspired me to do just that. I have always worked hard, I had little jobs as I was growing up, I helped around the house to earn pocket money, I learnt that to get anywhere in life I have to work hard and fight. I’m strong because of my parents, they are a true image of inspiration. You’re probably wondering why I’m writing about inspiration. I’m writing about it as I received a letter a couple of weeks ago that truly got me thinking hard about what being an ‘inspiration’ truly is. The letter was from an amazing charity called The Lymphoma Association. Click on the following image and have a read. When I received this letter, I read it in total shock, in fact I had to read it a good few times before it sunk in that not only have I won an award, but I’ve won a Beacons of Hope award for making a remarkable contribution. The award ceremony is happening this Thursday and as I can’t make it, I emailed the Lymphoma Association straight away to make them aware of this. In the email I also expressed my surprise at having being nominated and short listed, never mind having won an award. A lady from the charity replied and said that not only had I been nominated, the charity had received multiple nominations for me. This floored me even more than the actual letter itself. The charity sent me one of the nominations and it basically said that I’m an inspiration and that writing this blog has helped educate people about my condition and that my courage to be so open and honest even about ‘taboo’ issues should be commended. A few days after receiving this letter, I was still baffled as to how I won this award. I started this blog to keep loved ones informed of my progress and as a sounding board where I can rant. I also decided from the start that there was absolutely no point in blogging if I wasn’t going to be completely open and honest, hence lots of information about issues that come up in cancer that no one talks about. What I’m trying to say is, I never set out to inspire people, I blog for the reasons I mentioned above. As time went on, I did realise more and more people were following me (I read all your comments), including many cancer patients seeking more information about the rare type of lymphoma I had, so I decided that no matter what, I owe it to them to carry on. 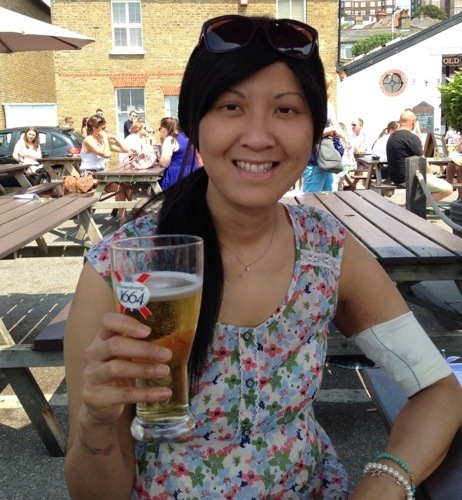 When I was first diagnosed with double hit lymphoma, I turned to the Internet for more information but as it’s a rare cancer, I didn’t find much of substance and that made me feel quite bleak. I don’t want others to feel that way. It’s been over a year since I started writing and I can honestly say that not once have I ever considered myself as being an inspiration and I still don’t feel like one. Throughout my ordeal, I did what I had to do to stay sane (ish), but most of all, to stay alive. I’ll leave you with that thought! 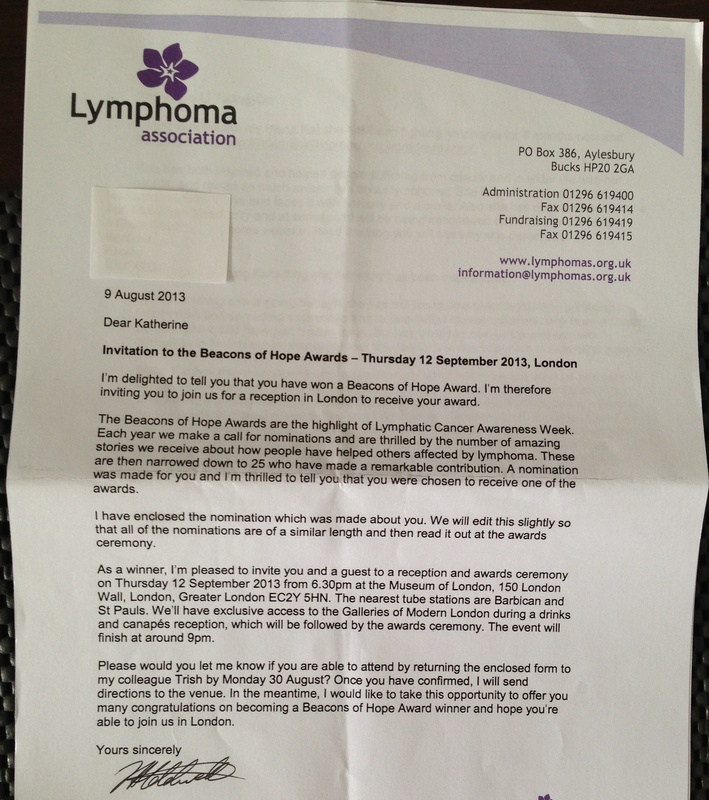 But lastly I want to say thank you to all those who wrote to the Lymphoma Association to nominate me. I am extremely touched and happy that I have made a difference, whether it’s to those who are currently going through what I had to go through, or to those who have learnt about this horrible disease by reading my blog. If I can make a difference to even one person, then I’m very happy. Getting older and feeling it this week! Yes I know 33 isn’t that old but oh my, I feel it. I think a lot of it is to do with overdoing things over my birthday week. I was out and about for a good part of a week which is the most I done since getting ill, and I think it’s caught up with me. 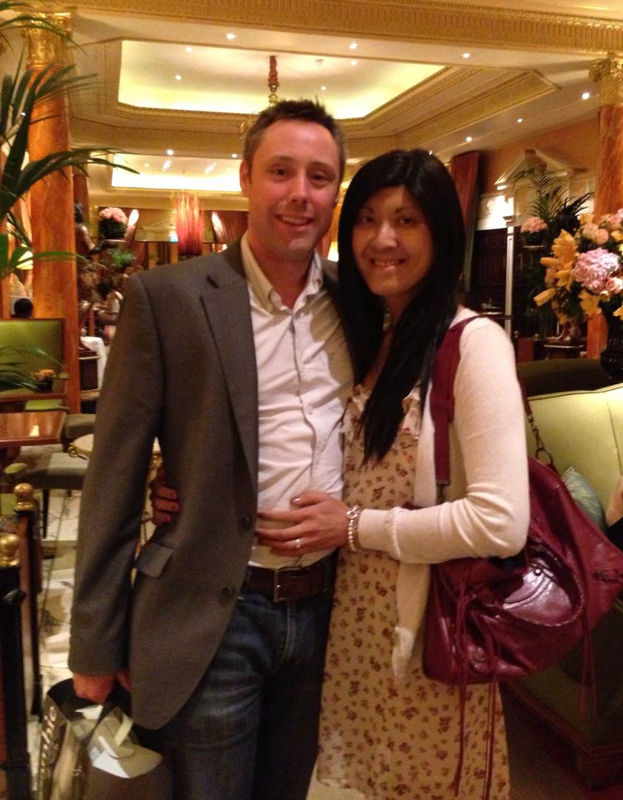 Last weekend, I had a meal out with friends on the Saturday and had the latest night out in over a year, the following day Ade and I went for afternoon tea at The Dorchester hotel which was fantastic. On the Monday I was in hospital for a check up and my monthly nebuliser appointment. The nebuliser is a breathing apparatus where I’m given a drug called pentamidine to inhale. It takes about 45 minutes in total and the aim of it is to protect me from respiratory illnesses like pneumonia. I have to do this every month until I no longer need my immunosuppressants. Talking of immunosuppressants, my dosage has now been lowered so my consultant has already started weening me off them to see how my new stem cells react with my body. Overall, it was a good appointment where everything in my recovery appeared to be going the right direction. On Tuesday, Ade and I took a trip into my work to see my friends and discuss with my bosses about the ‘going back to work’ issue. That was my first time back in the office since I left the office last summer to go to that fateful appointment where I was told I have cancer. It was actually great to be back and see everyone, not least for the banter but for the meeting about getting things back to normal and working again. Not so long ago, the idea of a semi-normal life (the department I work in is NOT normal!!!) was completely absurd! After the little visit to the office, Ade and I had a mince around Westfield for a bit before going home. Since the middle of last week, I’ve generally been feeling fatigued and I’m pretty sure it’s because I’ve done so much. That’s the problem with me, I am forever being told to listen to my body and to take things easy but I inherited the ‘restless run before walking’ gene from my dad, so it’s incredibly hard for me to listen! Ade says it’s stubbornness, I call it being strong-willed! Over the weekend, the fatigue has stayed with me and I’ve noticed my appetite hasn’t been great. I’m not eating three proper meals in one day, instead, I would have a tiny breakfast just because I have to otherwise I would get an upset stomach taking tablets without food, a small lunch or a snack and a proper meal in the evening. I’ve found that the mornings and earlier on in the day the worse for tiredness and appetite and this showed when I was weighed today. I’ve lost a little bit of weight in the last 7 days. I discussed this feeling with my consultant today and explained that my digestive system hasn’t been feeling 100% so I’m being tested again for C. Difficile as I could have another reoccurrence of it. Ade had a stomach bug last week and my consultant said, I could have caught that, I should find out tomorrow and I’m sincerely hoping it’s not the onset of graft v host disease (where the donor cells are fighting my organs/own cells). I felt really tired earlier on today but feel much better now which is good because tonight I’m going out with my parents-in-law. They came over on Saturday from Northern Ireland for a visit so we are spending as much time with them as we can. Great thing is, they like a relaxed and quiet life, so spending time with them isn’t going to tire me out as much as my crazy friends! I have Ade to keep me in line and nag at me – in the nicest possible way of course! Although the last week hasn’t been the best energy and health-wise, it hasn’t been too bad. My consultant said a while ago that I’m expected to feel great some times and not so great other times so it’s not out of the ordinary. I’ll leave you with a couple of photos from my birthday week. Hopefully the next time I blog, I will feel a lot more positive and my feeling of fatigue and appetite has improved. Ade and I out with friends on Saturday 3rd August. Ade and I at The Dorchester on my actual birthday on the 4th August. This is my 100th blog post, and to mark this occasion I thought I’ll update you on my 33rd birthday! I’m not one to make a gigantic fuss on my birthday and to be honest, I prefer to make a fuss of other people’s, but this year is a little different, to me it’s a very special day. You see, ten months ago I didn’t think I would make it to see 2013, never mind my 33rd birthday and now that the day has come, and the treatment is hopefully behind me, I’m embracing it and hoping this is a new start where I can put the awful year behind me. Last year I was diagnosed only a few weeks after my 32nd birthday so being 32 has been the worse year of my life. So far, I’ve had a fantastic weekend. Yesterday I spent it with some amazing friends. 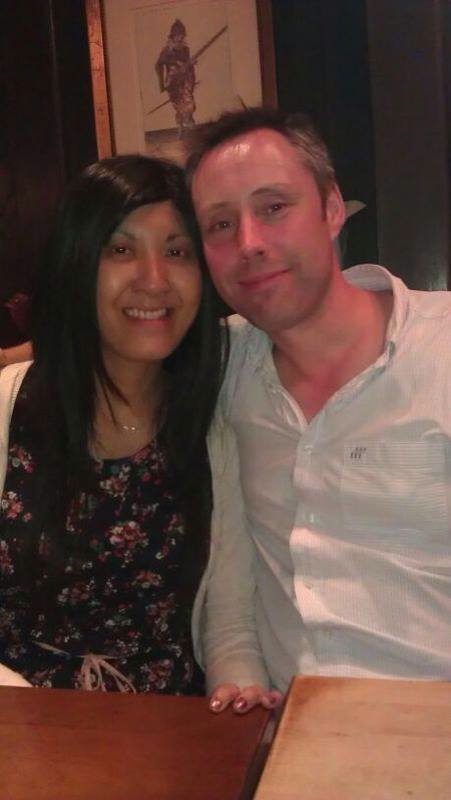 We sat in a pub near St Paul’s in London, then had a lovely meal at one of Jamie Oliver’s restaurant called Barbecoa. It’s a meat lovers paradise and didn’t fail to disappoint. I was well and truly spoilt. Today, Ade and I are going to the Dorchester for Champagne afternoon tea and I cannot wait! I’ve been wanting to go there for tea for years and what a day to do it! I love cake! I’ve got loads of great presents but the best present is that I’m still alive and that through all the hardship, I have friends and family that have seen me through the past year and there’s nothing in the world I could want more. I don’t think I could have come out the other side without all the support I got. I can appreciate I’m not out of the woods yet, but it’s a good start and hopefully 33 will be the start of all things good! Having said that, Ade got me an AMAZING present which I’m really excited about. Here it is! Talk about mood swings! This time last week I was depressed and miserable as sin. Today, I’m far happier and a lot more relaxed! Last week, I was meant to find out if I was getting out on the Thursday, but there was a big screw-up in the lab which meant my blood tests weren’t processed. When the doctor told me this, I was extremely upset as it meant I would have to stay in. I was in floods of tears and Ade was furious with the hospital. He was desperate for me to get out of hospital as he knew that I could do with being at home, so a couple of angry phone calls were made. Ordinarily the tests to check these sorts of virus levels are only carried out twice a week and I’m guessing Ade’s expression of fury made the lab run the tests the third time that week. The results came back on the Friday evening and it showed that my levels were so low that treatment could be stopped and I could be discharged. Needless to say, I was packed and out of hospital as soon as I could be, and before I knew it, I was humming along to ‘The Great Escape’ again!!! Since being at home I’ve been much happier, relaxed and positive. 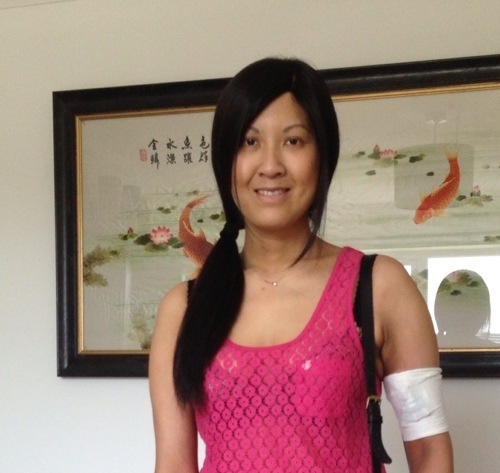 I recover better away from the hospital and I think a lot of it is to do with control issues I have. Well I wouldn’t say it was an issue, just that I’m very independent and when I’m in hospital, there were so many restrictions and I felt everything was out of my control and I felt like a sick patient. Ok, yes, I am technically still a sick patient, but I hate feeling stigmatised, I guess that’s why I refuse to wear those very unsexy hospital gowns they give you on admission. My discharge came at a very good time. Anybody who knows me knows I’m solar powered and last weekend was the hottest of the year so I got to enjoy being out in the sun and breathing fresh air. On Saturday, Ade took me for a day out in Greenwich where we enjoyed walking around the park and seeing the sights. On Sunday, Ade took me down to Old Leigh which is a little fishing village nearby, we sat outside a pub having lunch and watching the boats go by before heading home to watch the Wimbledon men’s final and the F1. Needless to say, the busy weekend left me with sore muscles and legs, but it was worth it, it was the most I walked in months which made me realise that I’m recovering well and by pushing myself, I’m becoming less reliant on others and more independent again. Today, I cooked for the first time in weeks. A couple of friends came to visit me at home so I made us a nice lunch, then I made dinner this evening for myself and Ade. My tastes has come back and I’m starting to have an appetite again, so another area of improvement. My next goal is to rejoin the gym in September, so I’m hoping my recovery continues and that I won’t need to go back into hospital again as an inpatient, although there is as ever a chance it could happen if I was to get another infection or virus. Please pray I don’t. I’ll finish this post off with some photos of the weekend! It’s amazing how good the sun and being home can make you feel! Heading to Greenwich and feeling summery! 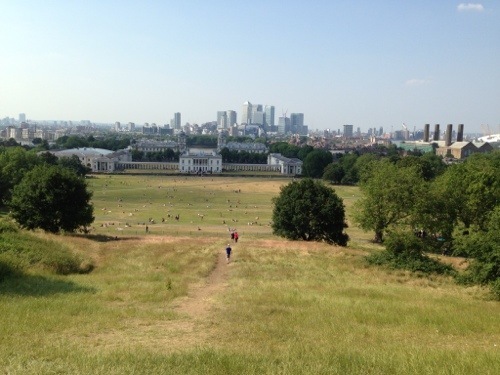 A tiring walk to the top of Greenwich Park afforded us this magnificent view of the city. Sitting by the sea enjoying a shandy! I’m not brave enough to try a proper beer yet! 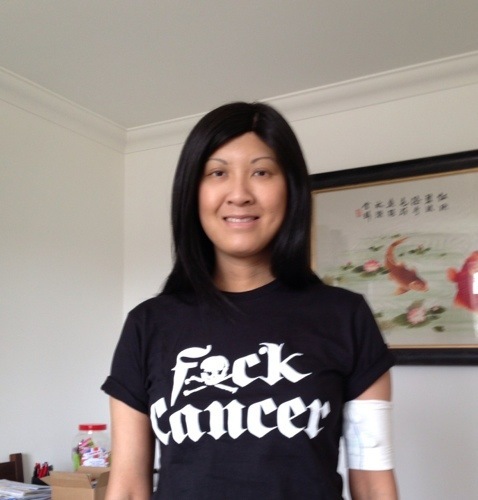 And here’s one of me in a statement t-shirt a friend from New York sent me! It’s been over a week since I’ve updated my blog and most of you probably still think I’m recuperating at home when in fact I’m now on day seven of being back in hospital. Early last week, I had a blood test to check the usual levels which were all fine except one of them. The one that wasn’t fine was the CMV screening. CMV stands for Cytomegalovirus which is a virus I have in my body that has reactivated which happens with donor stem cell transplants. Ordinarily the body can fight the virus off, but as my immune system is still being suppressed, my body is unable to do that so I had to be admitted for a brutal antiviral treatment to get rid of it. CMV is one of the most common viruses and it’s believed that half the population has it and it simply lays dormant, or if it does reactivate, the body is able to fight it off without you even knowing it has been reactivated. This virus is related to the one that causes chicken pox and glandular fever. There are a few different treatments available for CMV reactivation and I have the nastiest. As I’m so fresh out of transplant, my blood counts aren’t strong or stable enough to have outpatient treatment hence why I have to stay here, so I’m given an antiviral treatment called Foscarnet twice a day, 12 hours apart. Foscarnet is EVIL, the side effects are horrendous and I can honestly say that some chemo drugs don’t make me feel as nauseas as this stuff. Foscarnet is quite toxic to the kidneys so during each infusion, I’m also given a litre of fluids via IV to protect my kidneys and bladder. Pretty much every other day, I have to have calcium, phosphates, magnesium and potassium to keep my levels up. Foscarnet clings onto the salts in the body and depletes the body of essential minerals it needs. Since I started this treatment, I’ve been feeling like hell but today I’m feeling worse than usual because I’m so exhausted. Yesterday there was a mix up in my medication where the pharmacist forgot to order it, this meant I was about 4 hours late receiving the Foscarnet and as it has to be given 12 hours apart, I was up till stupid o’clock waiting for the infusion to finish. At 4am this morning, I was woken up to start a calcium infusion so I’ve barely slept. Tiredness, nausea and general feeling of melancholy doesn’t bode well when you’re willing time to move faster. This past week in hospital has been so difficult for me and I have to admit, even though I knew that this virus would reactivate after the transplant, I still found it hard to swallow that I have to be here to fight it off. I was saying to Ade a few days ago that genuinely I’m feeling so tired of living half my life here and half my life at home. It’s now July and I’ve been fighting since last September.. That’s enough already! I just wish someone up there would give me a break and let me recover and get better. I know it sounds like a huge dose of self-pity but mentally and physically I have no idea how much more I can take. The longer this goes on the more I start questioning what is the point. Ade and I want to make plans for the future but I’m almost too scared to in case things don’t work out. Every time I come back here, I feel like I’ve taken a step backwards. Maybe I just need some sleep, but what I know for certain is, I need to be at home and I have no idea when I will get there.